Nancy, don’t you just love old Noah Webster? Someday I’m going to read HIS story. A dictionary is a wonderful thing–thanks for sharing this. Now you’ve got me curious!! I think Webster WAS a Christian. He produced America’s first modern-language Bible, five years after completing his dictionary. Seems unlikely a non-Christian would be interested in such a project. Thank you for stopping by, Jody! A wonderful comfort to know that God’s attributes ‘cling’ to us, so that by example we may impart the message of salvation just by allowing those attributes to shine through us to the world. 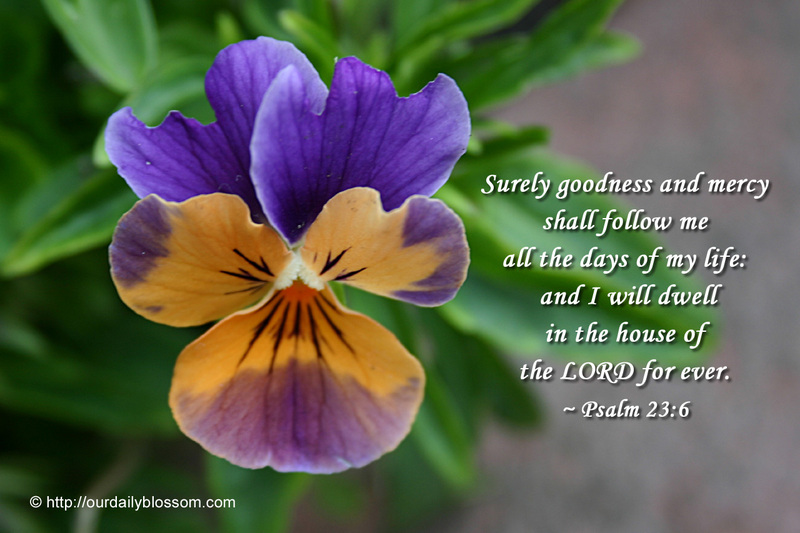 To know that God’s goodness and mercy are ‘automatically’ bestowed upon us. What a wonderful Father is our God; what a wonderful Savior is my Jesus; and what a wonderful Gift is the Holy Spirit! Amen, Cheri! Such knowledge is a comfort, contributing greatly to our peace and joy. Thank you for your insightful comments! Thank you, Laura. Delighted you found the post meaningful! Indeed, God’s goodness and mercy include great joys and blessing. One of the most amazing is the Holy Spirit with us. As a result, we do “win in hope,” as you have said, Keijo. Thank you very much for stopping by and commenting!